Since moving to Indy, we've made a family tradition to go to the Indiana State Fair. 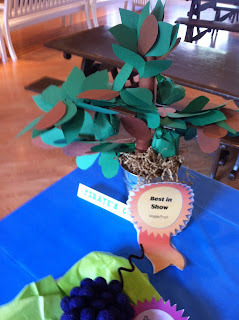 Ava's preschool did a Fair recently with the kids and each classroom submitted crafts. 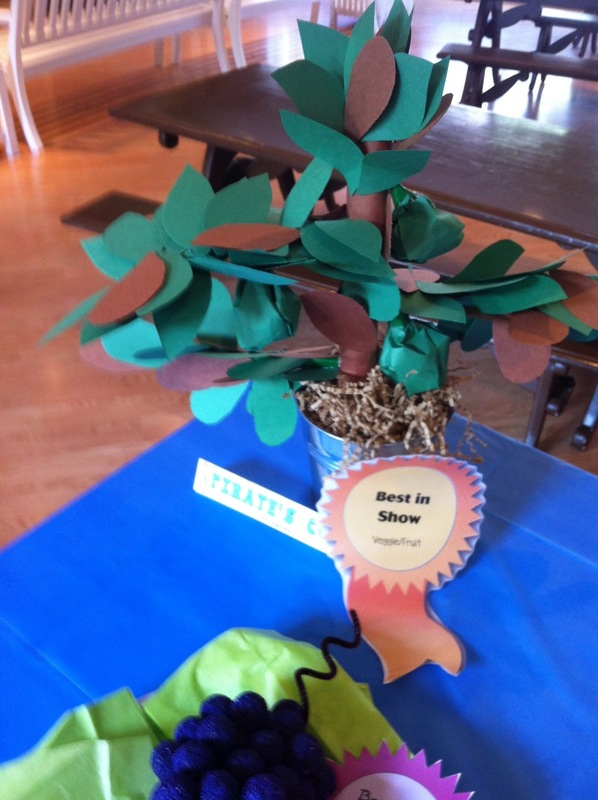 Ava's class made a bell pepper plant, quilt with class pictures, and an elephant. They kids played in a bounce house and had fun with games. Ava had so much fun! 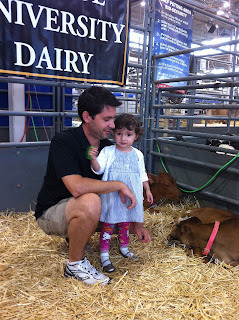 Then this past Monday, Aaron and I took off of work a little early to spend the evening at the State Fair. 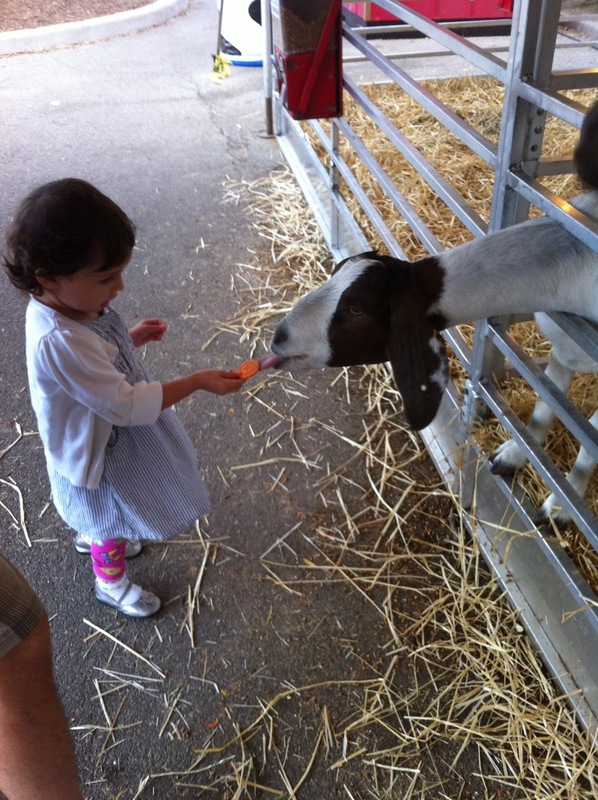 Since last year, Ava seemed to enjoy the animals more since she felt braver than before. She pet the newborn calves. 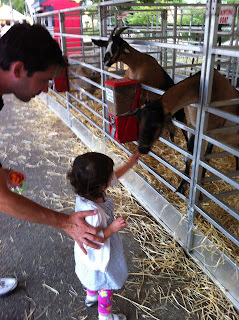 Last year, Ava wouldn't go near the baby calves, but this year with some encouragement she pet them. Here's my post from year's visit. They were so small, about the size of Bena! They were curled up and sleeping in the hay. Ava was excited to watch piglets nursing with their mommy. We dropped in a horse and cart show where the horses were decorated. 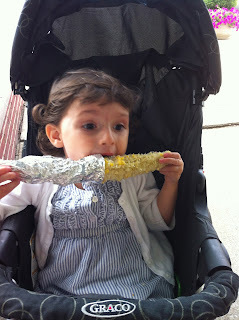 We shared Fair foods like a butter ear of corn, fried cheese, breaded pork tenderloin sandwich, and a cinnamon-sugar drenched elephant ear for dessert. This year, Ava enjoyed the horses much more! Last year they scared her up close. We stopped in the horticulture center and Ava looked at the flowers and vegetables. 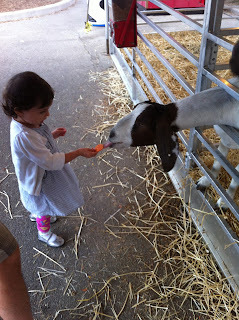 Feeding baby goats slices of carrot. We stopped at the Lactation Station where I've volunteered in years past. 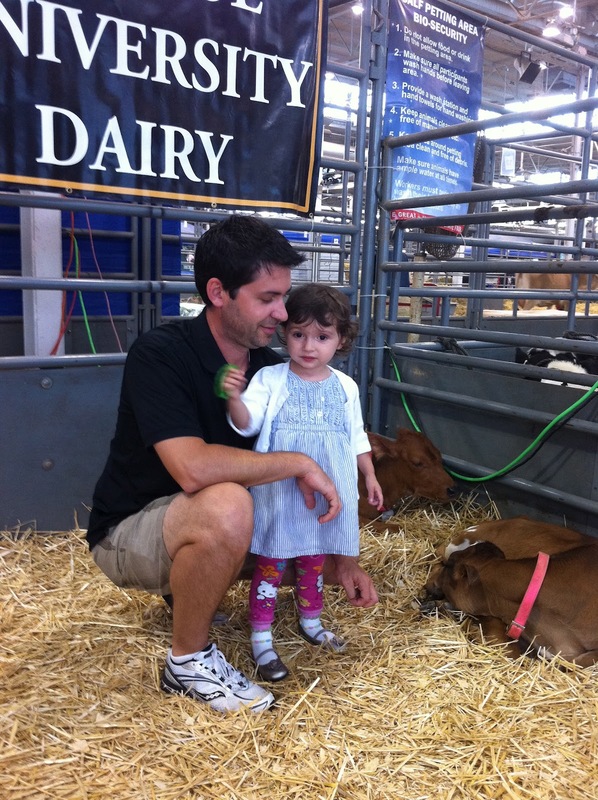 We ran into Fernanda who has been working the Lactation Stations for several years. She loves seeing Ava and was surprised by how much she's grown in the last year. We didn't go in to nurse, but we did stop for a family picture! It was starting to sprinkle and look stormy so we hurried back to the car after visiting the Future Farmers of America area. 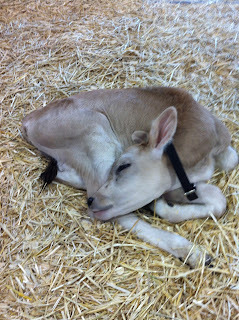 They have more baby animals and a playground. We had such a fun evening! Since it was a Monday night, the Fair wasn't crowded. Although next year, I think we'll go back on a $2 Tuesday to take advantage of the savings and they do sample portions of food.